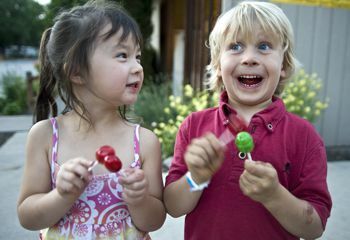 Our mission statement for our KOA Kampground is to continually create a pleasing environment in which our guests may shape happy memories to carry with them in their daily lives. We wish to provide a beautiful, safe, fun and enriching place to vacation. Spirits will be renewed after a stay with us and our friendly, helpful staff. 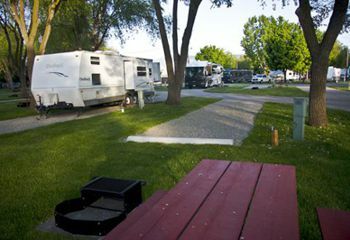 One of our staff once said that she felt safest and happiest when she was doing her job on the grounds at our KOA. 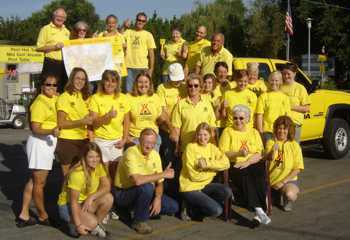 That is a very strong statement for the positive energy that is generated at Missoula KOA! Missoula KOA has been an integral part of the Frame family since 1967, when Elmer and Margie became a member of the nationwide franchise that was started in Billings, Montana. 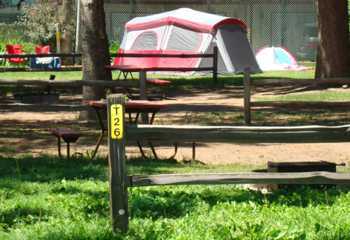 KOA has created standards that allow guests to know what they can anticipate and expect when they book a stay at a KOA Kampground. 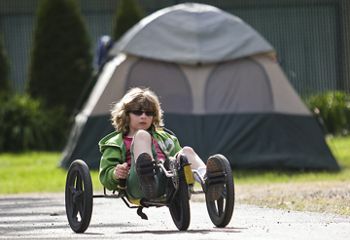 We are very proud to maintain these high standards and care for each and every new camper as a member of our camping family. 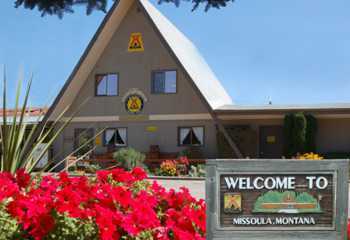 The youngest Frame daughter, Laurie Frame-Wisby has served as the General Manager for the Missoula KOA since 1995. 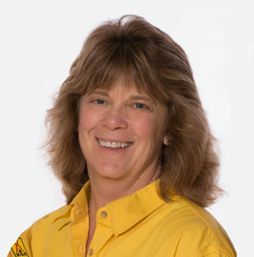 She lives and breathes KOA, year round, as she manages the daily intricate workings of a large campground. It is very important to Laurie to maintain the high standards set forth by KOA Inc. and by her parents, Elmer and Margie. 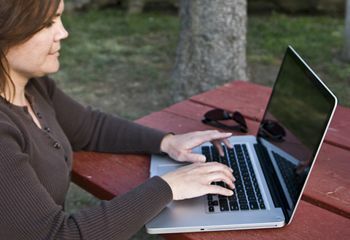 She continually strives to improve and update the camping experience at our family campground. It has matured into a beautiful manicured arena for fun with flowers and well trimmed trees, and this year new lawns and underground sprinklers for some spaces. 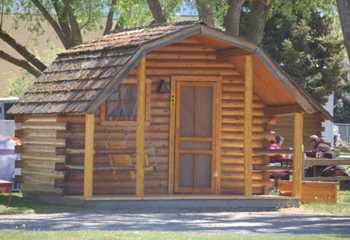 She has integrated fully self-contained deluxe cabins within the grounds. They have become a popular favorite in the last few years. 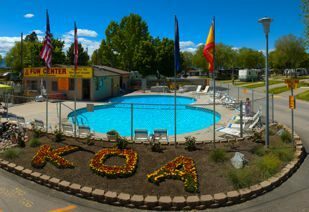 The Missoula KOA is truly a family business, which is very important to Laurie as she strives to make new improvements every year that enhance every family’s camping experience. Laurie’s son Tyler has worked at the campground at various times in the past. Laurie’s daughter Jenna works at the KOA between her other job and school. Kathy, the oldest daughter, owns and manages the school bus company, Hellgate Transportation. When you are camped with us you may see some of the buses coming and going as they live at the South end of the campground. Her son, Nate, works avidly at the campground and enjoys helping people and making the grounds look nice. 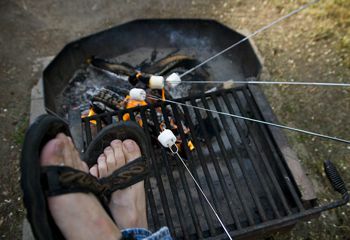 He has worked off and on at the campground since he was a little tyke. Nate loves to make your stay more fun, so watch out for his antics as he goes about his work. Margie Frame is retired and enjoys it when Laurie takes her on a campground tour in one of the KOA golf carts. She is very proud of the care and concern that her daughter has taken with their beloved family business. She continues to share in the campground environment and stops for frequent visits. 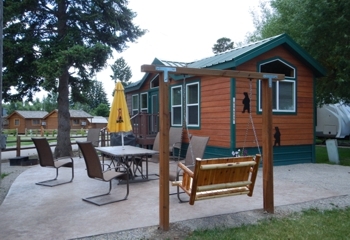 Missoula KOA has been an integral part of the Frame family since 1967, when Elmer and Margie became a member of the nationwide franchise that was started in Billings, Montana. 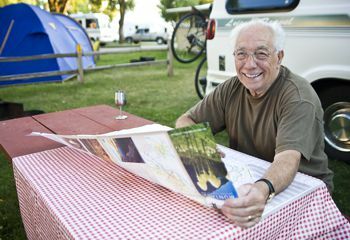 KOA created standards that allow guests to know what they can anticipate and expect when they book a stay at a KOA Kampground. We are very proud to maintain these high standards and care for each and every new camper as a member of our camping family.